Pictured above: Photo of Boise City&apos;s Anne Morrison Park in spring, courtesy of Wikipedia. Boise is the 3rd largest Metro in the Pacific Northwest, and by far the most affordable. Over 200 of you were kind enough to share your bucket lists in last week&apos;s poll - and the results are amazing. We&apos;ve analyzed the trends and categories, plus picked out some of our favorites (e.g. ; compete in international BBQ cookoffs) in this article. Best of all, you can download all 215 bucket lists for some interesting reading, and great ideas! Boise combines livable neighborhoods with a downtown pedestrian zone that has sidewalk cafes and restaurants. 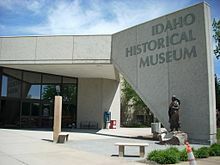 There is Boise State University, plus quick access to outstanding outdoor recreation. The city has won numerous "Best" awards, including "Best Town to Live and Ride" by Bike Magazine. Click on a state to see reviews of 867 great retirement towns, plus capsule summaries of 1,840 active adult communities. Thank you for your enthusiastic responses to last week&apos;s poll. We continue to pick up great insights into what&apos;s important in your retirement planning. Thankfully, the vast majority of our members are at least moderately prepared, if these results are representative. Most interesting: Your community selection criteria. 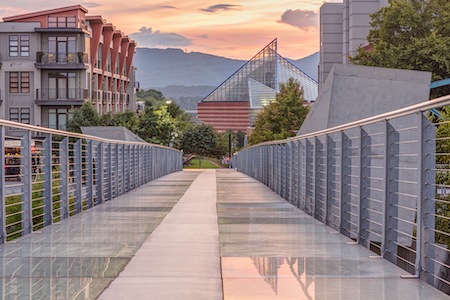 The 4th largest city in tax-friendly Tennessee is situated along a river with plenty of hills. The city has completed a huge project to revitalize and put attractions along its riverfront. It also claims to have the fastest Internet service in the western hemisphere! We&apos;ve just finished making some improvements to the Retirement Ranger. The changes improve its accuracy and usefulness. You answer 10 quick questions, then get a free customized report. It&apos;s free, take it as often as you like.